The Alumen Z-Cap has been especially designed for the tweeter and mid-section of your crossovers. Jantzen use a high tension machine to wind all their capacitors, thus producing very tightly wound capacitors. As a result they offer incredibly low inner vibration and keep micophony as low as possible. They have a tolerance of 3% and have high grade copper leadouts. The finish is a flame-retardant tape wrap, and the end of the caps are resin sealed to protect against humidity. Another key feature is, they do not need pre-aging, so no lengthy burn-in required. 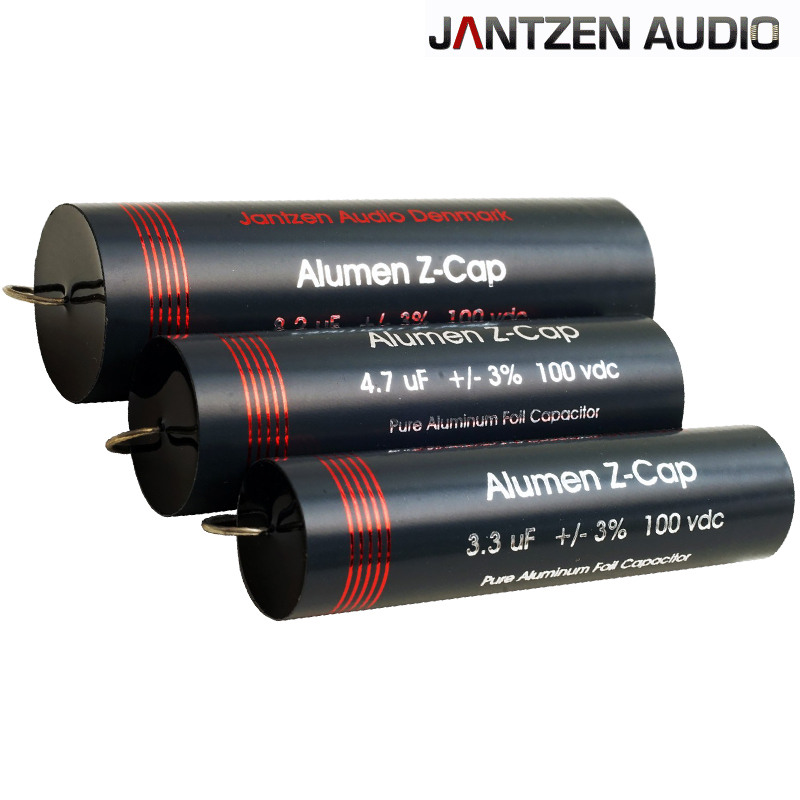 Alumen Z-Cap are non-polarized capacitors. The signal path can be in either direction without changing the sound or performance.